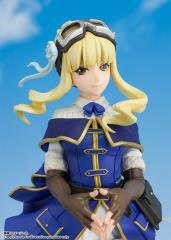 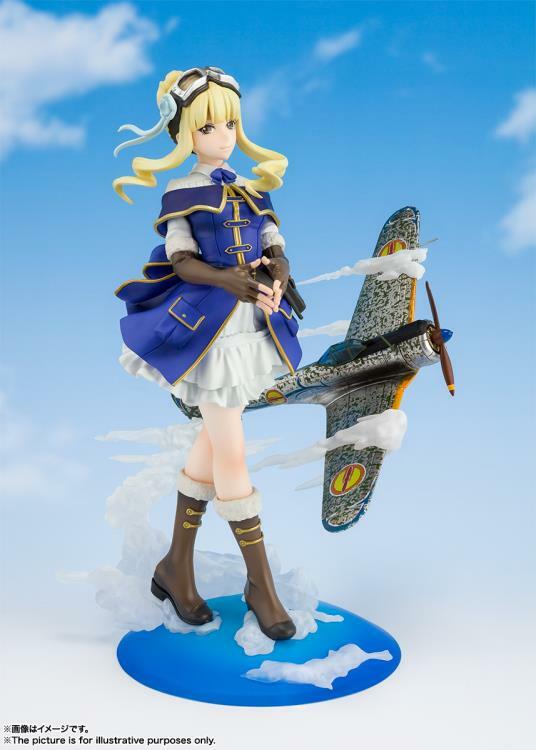 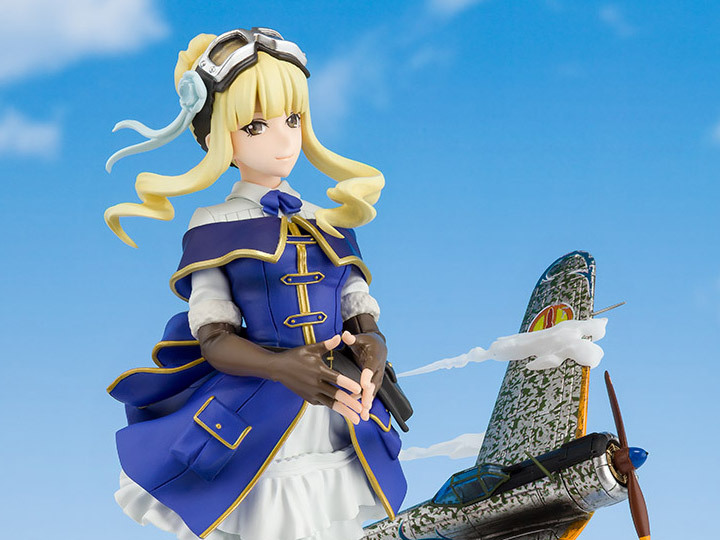 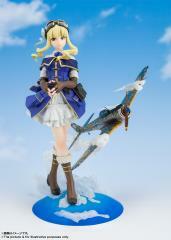 From the 2019 anime series "The Kotobuki Squadron in The Wilderness" comes a Figuarts ZERO figure of Kirie's childhood friend and formidable pilot who excels at predicting enemy attack patterns, Emma! 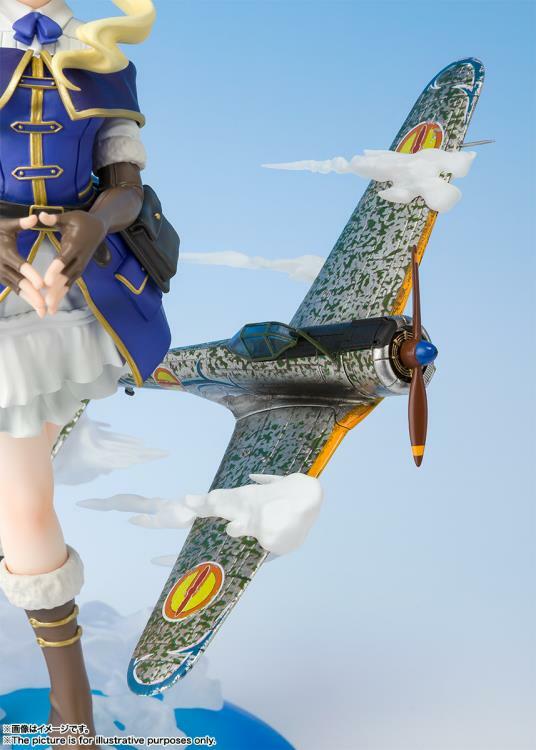 Her elegant pose perfectly matches her graceful nature, with her feet delicately touching the clouds that line her base. 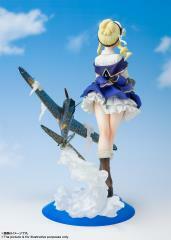 She comes standing next to her Hayabusa aircraft for added impact.